Glitter Jelly Sandwich nails or Jelly Sandwich are the new trend in nail art I just discovered. To create this look is very simple and it’s all about layering two types of nail polishes: Glitter and Sheer. Like a tradition jelly sandwich the glitter polish is the jelly and the sheer polish is the bread. 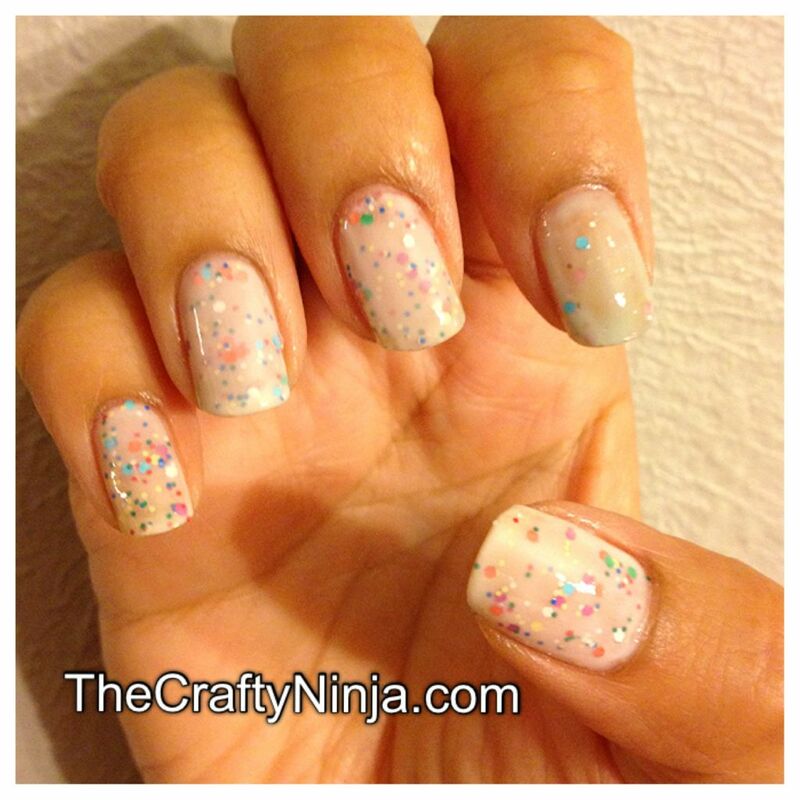 Glitter Jelly Sandwich nails dulls the glitter to create a more subtle, delicate, and girly look. Now to get started the sheer polish I used was Rimmel French Manicure- French Lingerie, one coat of sheer polish as the base coat or bread. Next the glitter polish I used was Milani Gems, as the second layer or jelly. Last I applied two coats of Rimmel French Manicure- French Lingerie or bread. Now you are done with your jelly manicure! So simple and cute! To remove glitter nail polish is almost an impossibility, here is my quick and easy tutorial on How to Remove Glitter Nail Polish with no scrubbing or fuss. 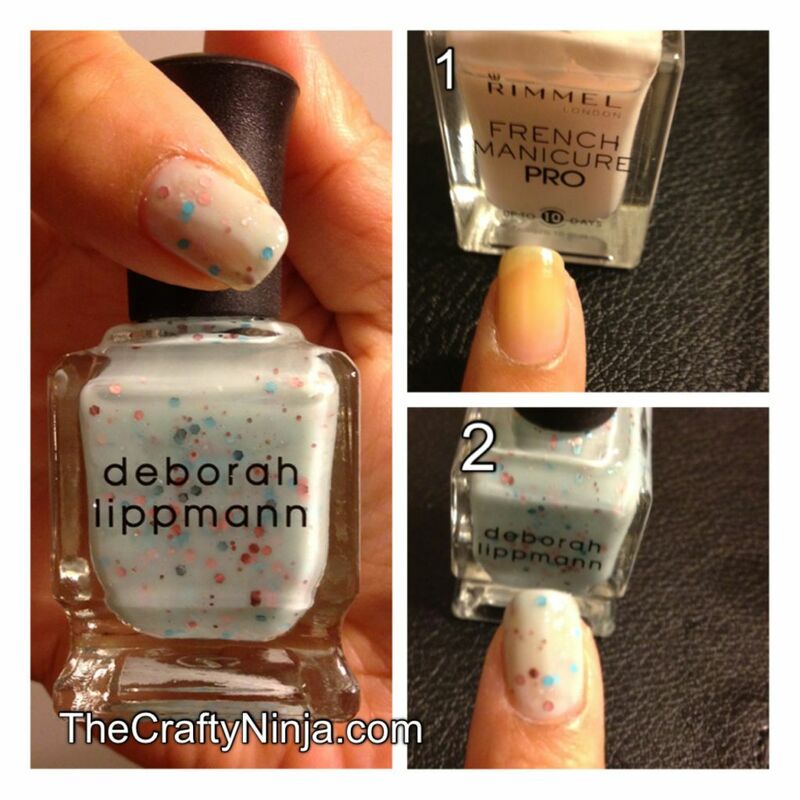 Another nail polish I found that will create this Jelly Mani is Deborah Lippmann Glitter in the Air, it is a bit costly but I love the light pink glitters, light blue glitters, and sky blue sheer base color. 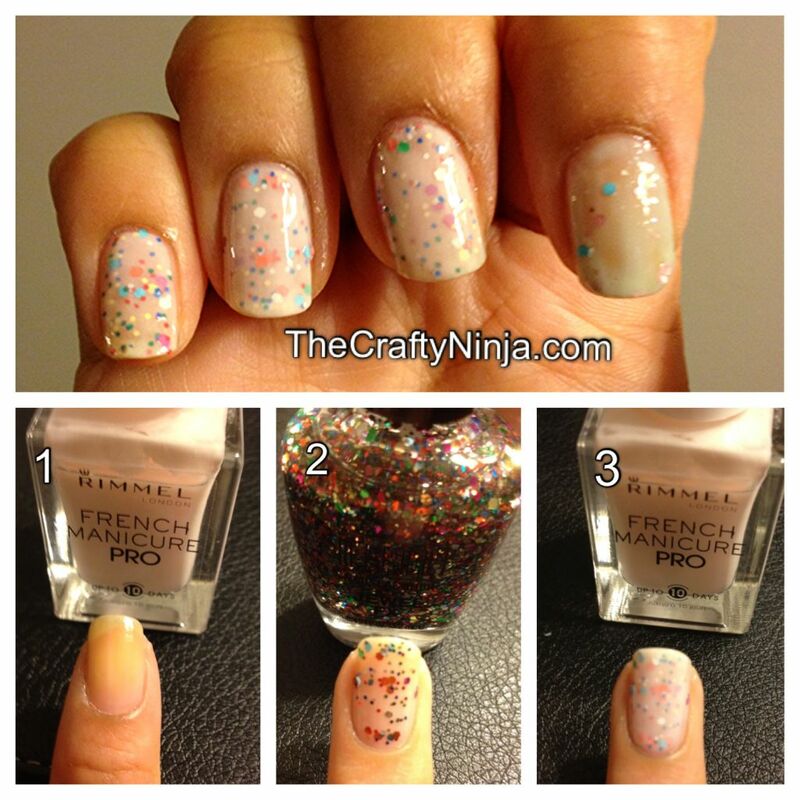 To create this look I applied Rimmel French Manicure- French Lingerie as the base coat. Then four coats of Glitter in the Air.